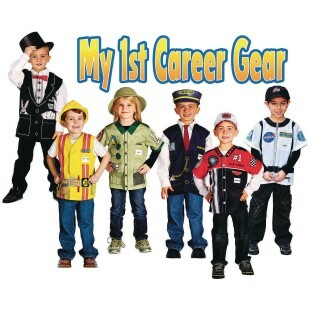 Kids roleplay a favorite profession. Assortment of 6 dress up shirts/vests: Magician, Zookeeper, Astronaut, Builder, Pit Crew and Train Conductor. Easy to put on and take off. Front closure. Machine wash, line dry. Ages 3 to 5.